Based on the play by Anton Chekhov, the film follows aristocratic actress Irina (Annette Bening) as she hosts family and friends with her brother Sorin (Brian Dennehy) and her son Konstantin (Billy Howle). Nina (Saoirse Ronan), who lives on a neighbouring estate, falls in love with Irina’s lover, the successful novelist Boris Trigorin (Corey Stoll), while Masha (Elisabeth Moss), the forlorn, black-clad, self-medicating daughter of Sorin’s estate manager Shamrayev (Glenn Fleshler) and his wife Polina (Mare Winningham), is obsessed with Konstantin, who loves Nina. Masha, in turn, scorns the insipid schoolteacher Medvedenko (Michael Zegen), while Polina aches for the charismatic country doctor Dorn (Jon Tenney), who still yearns for Irina. The elderly Sorin, long past any hope of romance, lives in a languid state of regret over roads not taken. This gorgeous adaptation captures this decadent group of self-obsessed narcissists beautifully. Each frame is oil painting perfect, making the film a joy to watch. The acting is superb throughout, with the heavy-weight cast all thoroughly deserving their screen-time. Moss plays a Victorian ‘emo’ gloriously, while Bening, in particular, turns in a performance that positively glitters. 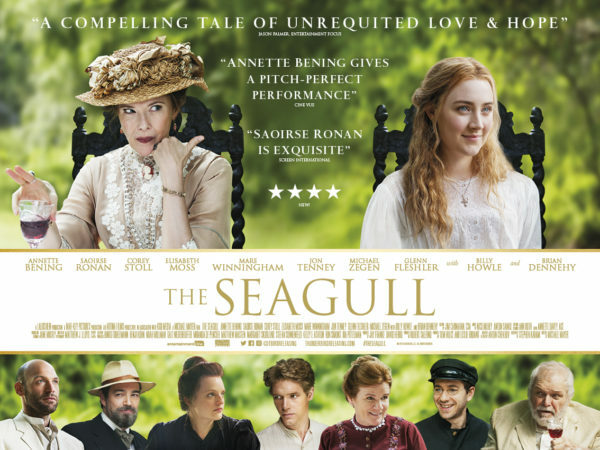 The Seagull explores (through characters so vain and vacuous you could cheerfully punch each one of them): aging, the obsessive nature of love, the tangled relationships between parents and children, and the transcendent value of art. Adapted by Tony-winning playwright Stephen Karam and directed by Tony-winner Michael Mayer, The Seagull is as fresh as it is classic. Brilliant. 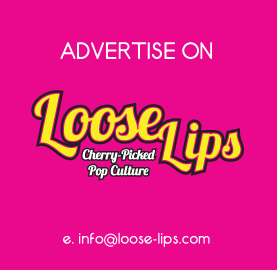 This entry was posted on Monday, September 3rd, 2018 at 7:33 am	and is filed under Features, Film, Review.